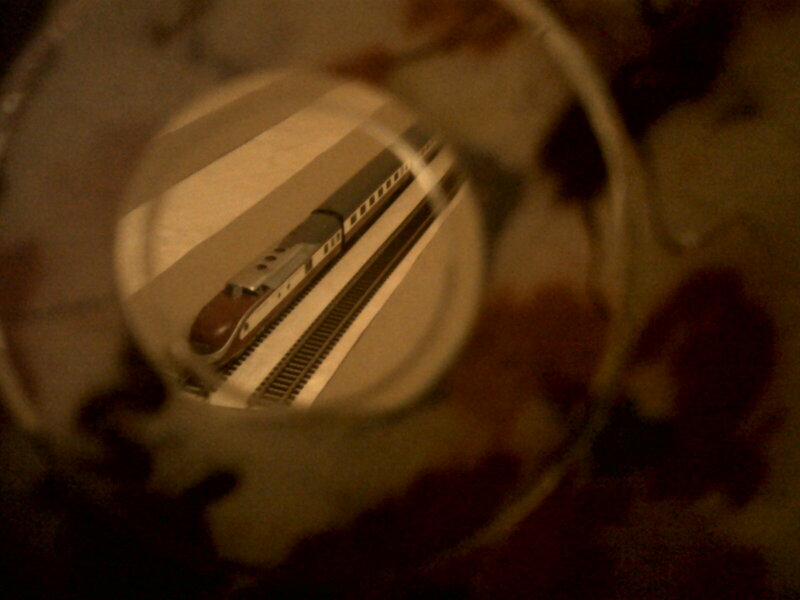 When I was a child, model railway track came in short sections, each perhaps 20cm long. There were straights, curves and points. 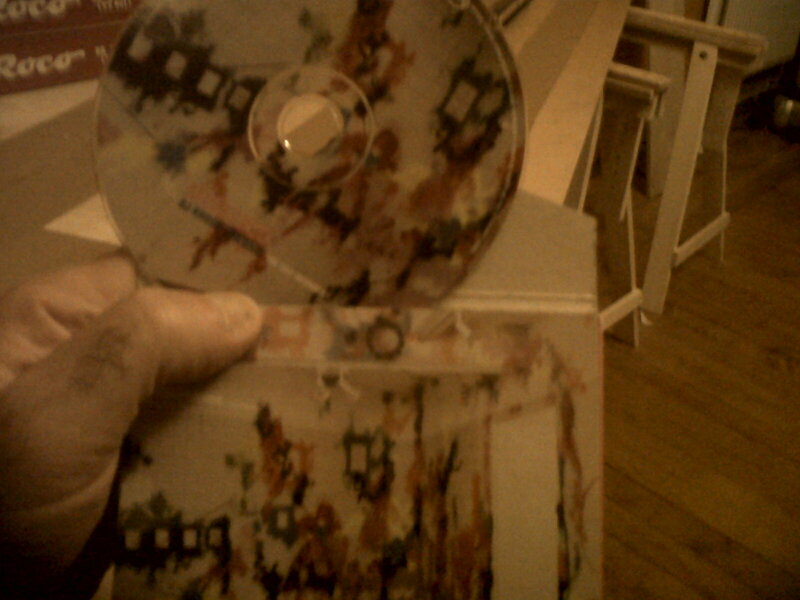 One can still buy track like that. However, for some years now, it has been possible to buy something called "flexitrack". 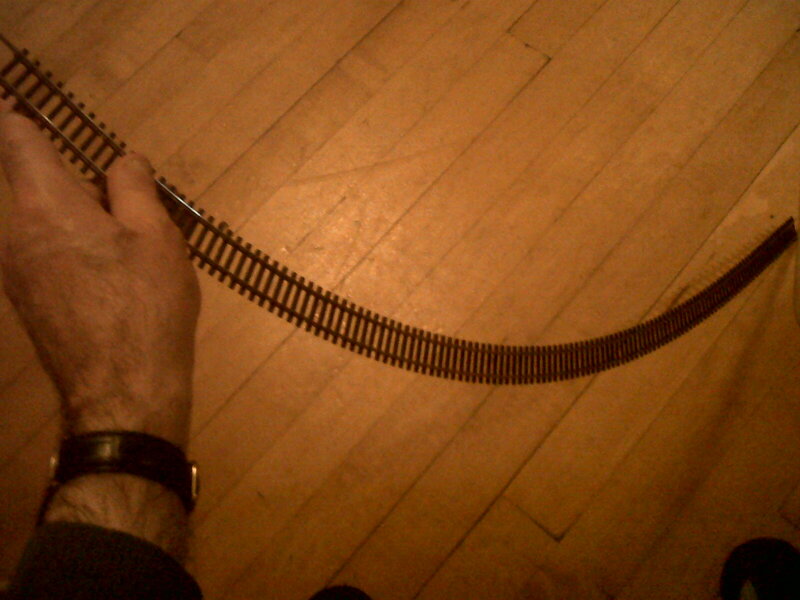 In the case of HO track, this comes in 1 metre lengths and can form either a long straight section or be curved right or left by simply flexing it one way or the other- it is flexible. There are advantages to flexitrack. Firstly, one does not have to make so many joins between sections. This results in a smoother run of track. Also, every connection one makes between two sections of track can lead to reductions in electrical connectivity, so the fewer the sections the better is the flow of electricity round the track. Secondly, one can tailor the curvature of the track to the exact needs of the situation: one is not constrained to the pre-set curvatures of the short-section system. 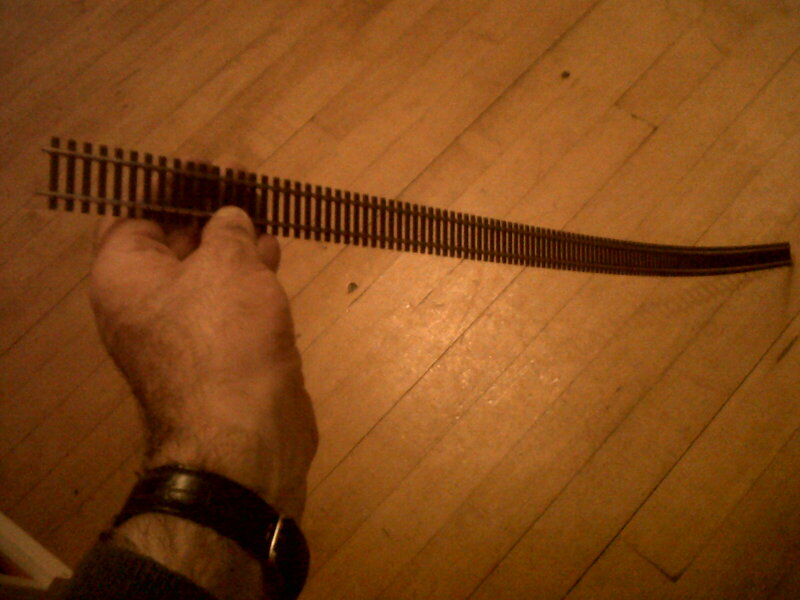 Thirdly, one can cut the track into the exact length required for any situation. However, one has to be careful about how one cuts the track. I'll tackle that issue another time. Today's listening has been DJ Krush, Holonic.